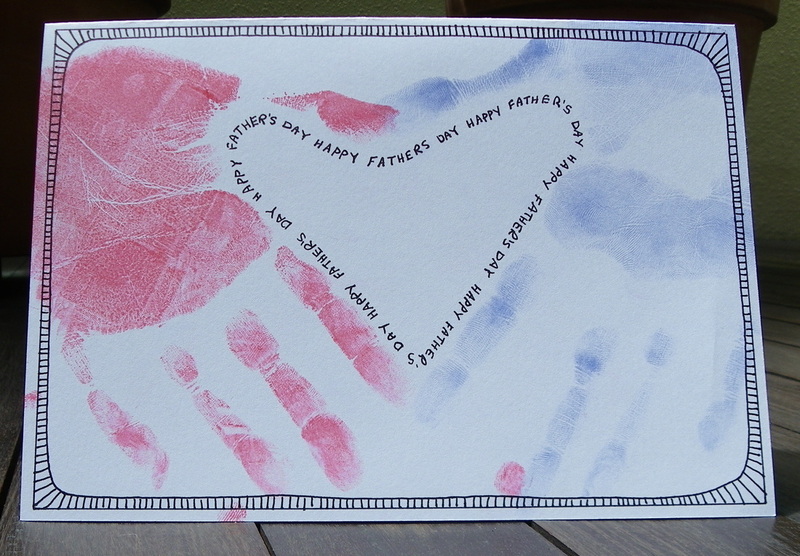 This Hands Father's Day card is easy to make and has it's own personal touch. 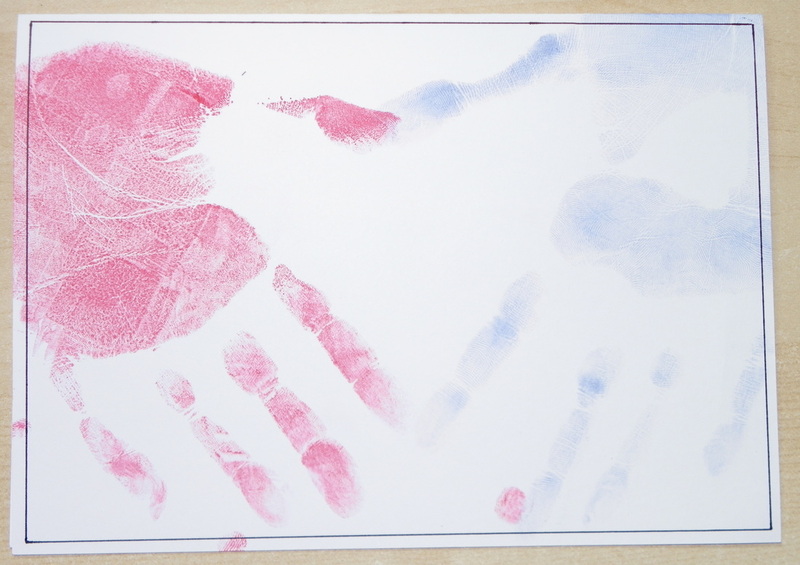 Each of my two kids contributed a hand print each to this card. 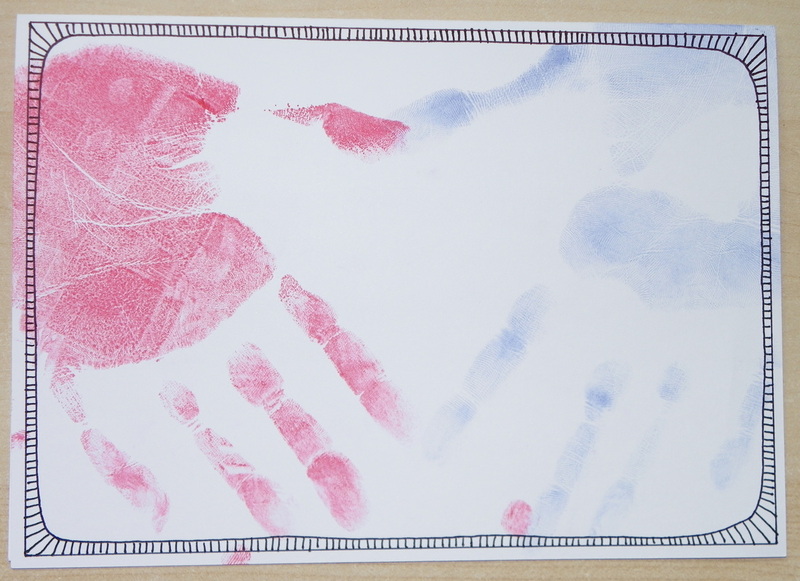 I used stamping ink to cover my kids hands - I let them choose the colour. 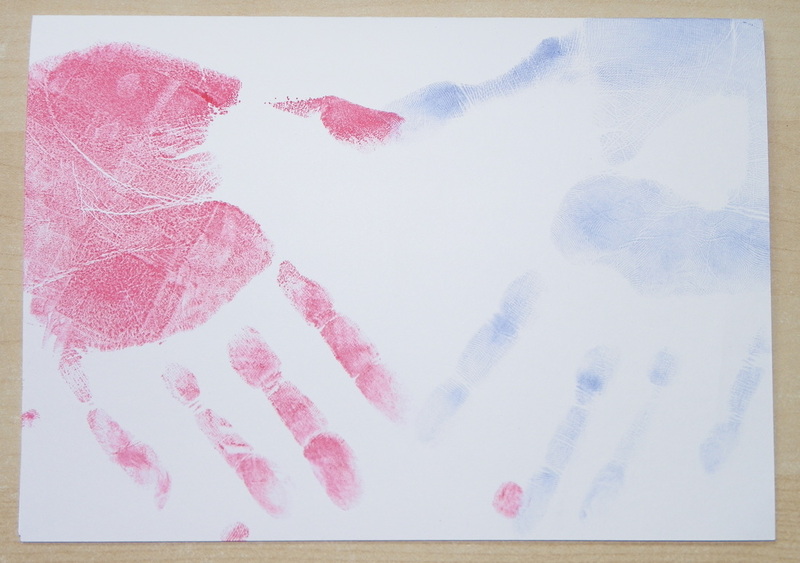 We first practiced how to place their hands to form a love-heart in the centre of the card before we tried it with ink. It would work equally well with paint, just apply it thinly to their hands. Then I created a border around the card. Starting with a plain rectangle drawn with a ruler and pen. 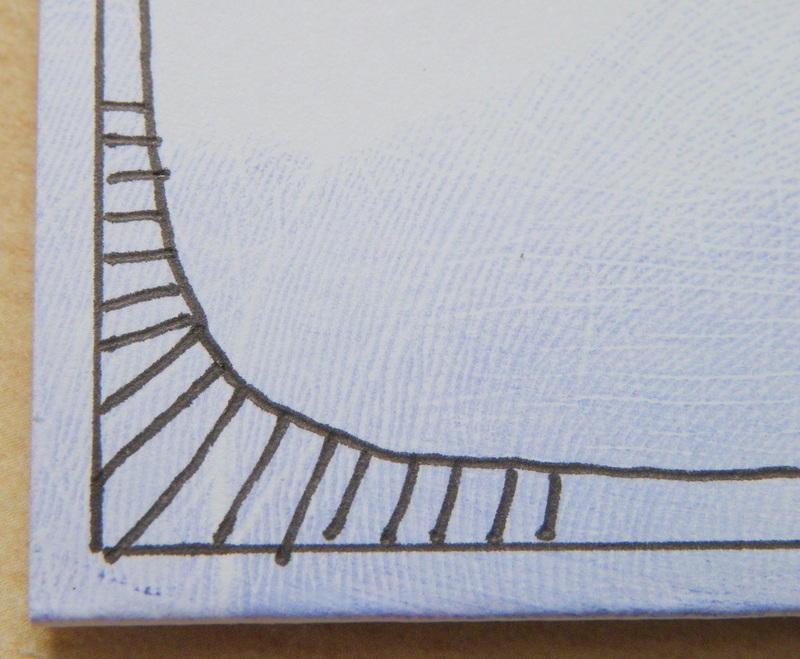 Then I added in a second line inside that, hand-drawn and curved around the corners. Finally I added in the small lines between these. 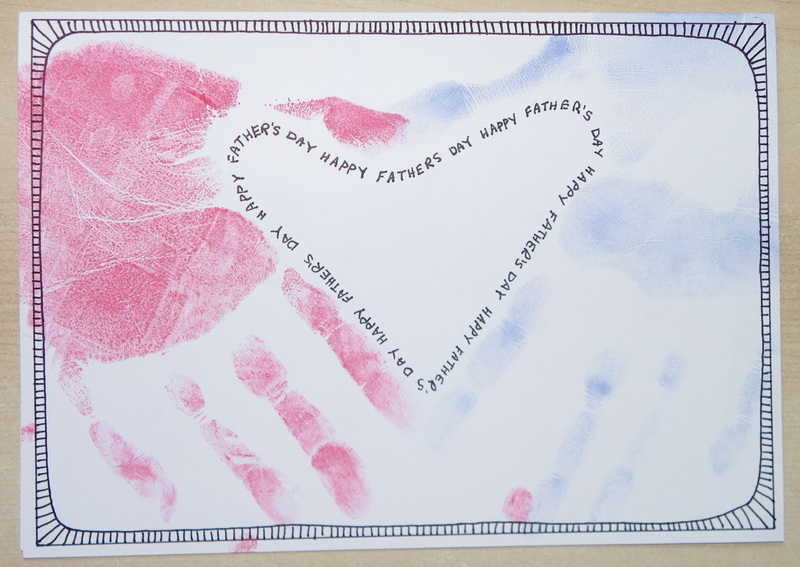 Finally, to highlight the heart in the centre of the card, I wrote "Happy Father's Day" around the inside.